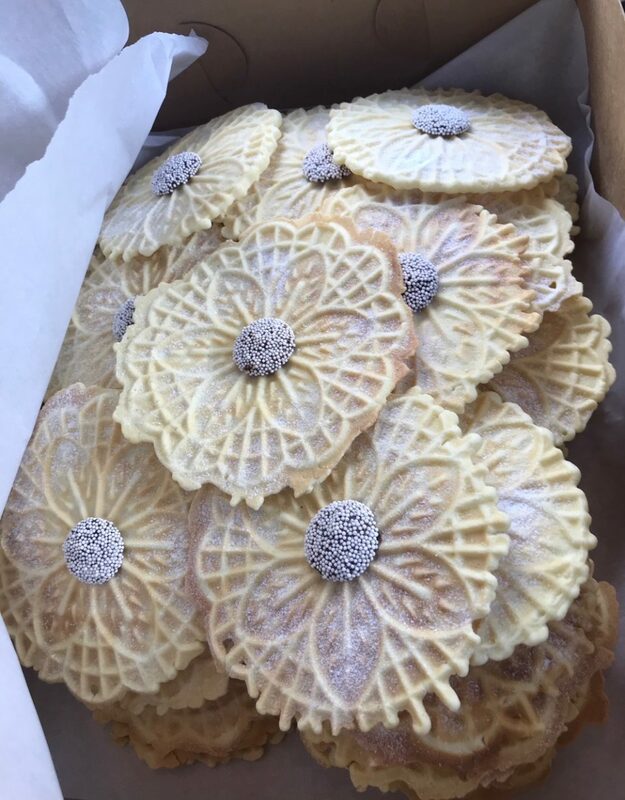 After posting pics to social media, I received a number of recipe requests for the pizzelle I baked for a relative’s wedding this past weekend. I always have nonpareils stored in my kitchen, which is how the idea for my recipe was born! Bake according to the directions of your pizzelle maker and cool on wire racks. 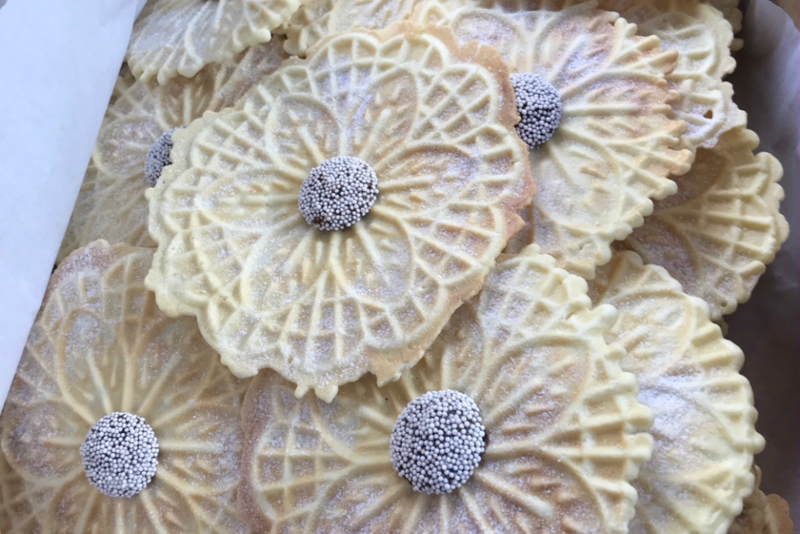 Once cooled, spread a small amount of chocolate frosting on the back of the nonpareils and affix to the centers of the pizzelle. Sprinkle each pizzella with confectioners’ sugar. White whole wheat flour and sugar substitutes can affect the thickness and crispness of your pizzelle; moisture and humidity can also affect their crispness. Here are great tips on keeping your pizzelle crisp! You can make various-colored pizzelle with this recipe by using multi-colored doughs, nonpareils and tinted confectioners sugars to match. I used a medium-sized pizzelle iron to bake.